Greater attention has been put on China’s trade relationship due to the country’s recent disputes with the United States (US); however, a pressing issue that is not gaining enough attention has been with China’s import/export policy. Having a practical policy for checking foreign countries’ food products for safety-related issues is extremely important. In this article, Keller and Heckman LLP Shanghai Office’s Chief Representative David Ettinger and Associate Dai Yin, address why companies should be mindful of non-tariff requirements in China. Amid the heated trade tensions between China and the US, it is a good time to remind ourselves that, while the Chinese Government is raising tariffs on various foods, such as wine, nuts, soybeans, meat, and tobacco, one also should be mindful of China’s non-tariff regulatory requirements. The economic impact from higher tariffs often can be outweighed by the inability to get products past the port of entry, if the products are deemed to be non-compliant under China’s food laws and regulations. The impact can go beyond the existing shipment, resulting in delays and additional requirements, even on subsequent shipments. In fact, depending on the violation, the authority may add companies to import databases that will put them under stricter regulatory scrutiny. For example, last month, the General Administration of Customs (GAC) released the latest Notification of Safety Risk Warning for Imported Food, the so-called ‘blacklist’ of overseas food manufacturers, exporters and local food importers. This risk warning notification was issued following the former General Administration of Quality Supervision, Inspection and Quarantine’s (AQSIQ’s) Detailed Implementing Rules for the Administration of Bad Record of Imported Foods (Decree No. 43/2014). Under the former AQSIQ’s Decree No. 43/2014, if a food producer or operator is blacklisted due to importing non-compliant food products, China’s GAC can implement, for a certain period of time (typically 6 or 12 months), additional safety control measures – such as requiring importers to submit additional documents to the authority. 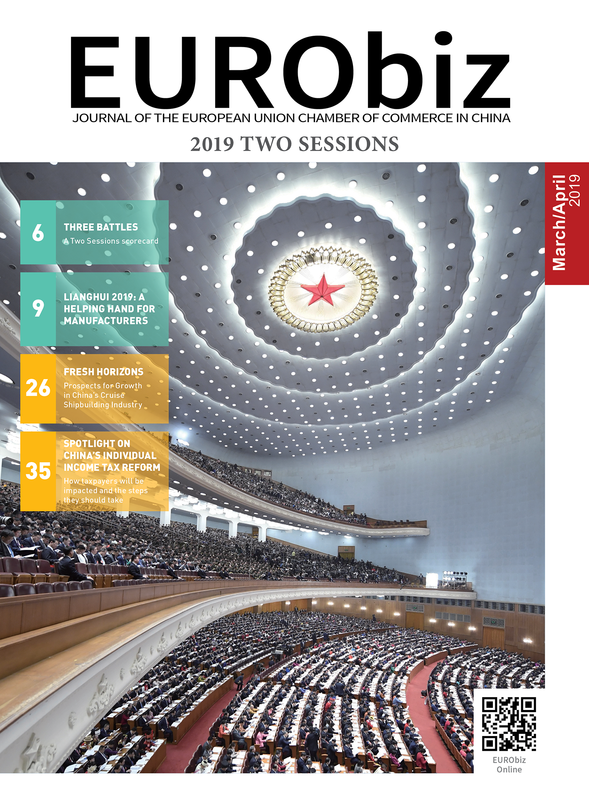 In the latest GAC notification, 58 food producers from Europe were included on the blacklist and are subject to various control measures when exporting to China, such as having to submit additional testing data, forcing their local importer to meet with the responsible Chinese customs authorities, and requiring letters of guarantee on their packaging or labelling. Such control measures typically are applied to each batch of the specified food products sold in China. Assuming no new safety or quality concerns are reported upon expiration of the additional control measures, the blacklisted producer/exporter can apply to the responsible agency at its home country or region for the removal of those measures. Upon verifying the producer’s/exporter’s application, the foreign agency may request that the GAC lift the restrictive measures. Afterwards, the GAC will issue its decision based on whether a food safety risk persists. 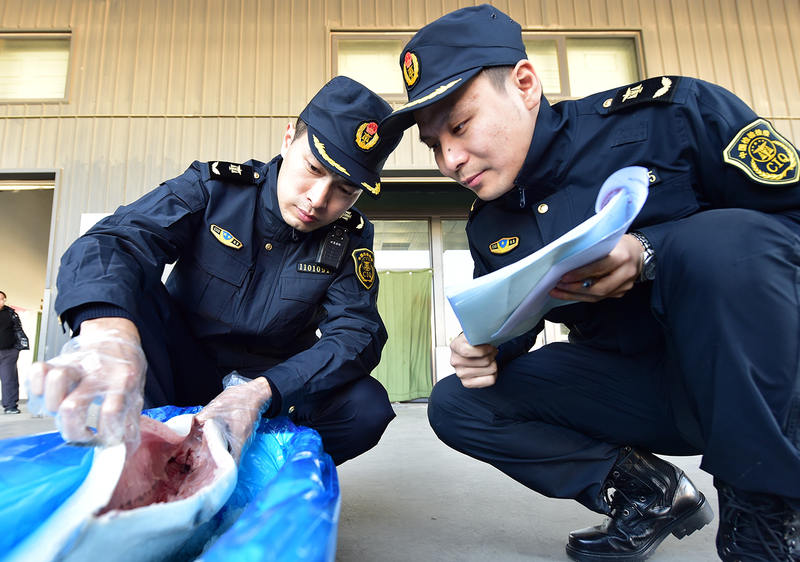 In addition to measures like the blacklist, China has been considering a longer-term plan that focuses on having batch-by-batch certification by the competent authorities in the exporting country/region to ensure that food exported to China is safe and of suitable quality. The intent is to establish a linkage between the competent authorities of the exporting country/region and China. For instance, last summer, China notified the World Trade Organization (WTO) of its draft Measures for the Administration of Certificates Attached to Foods Exported to China (Measures) and proposed to enforce the Measures starting 1st October 2017. However, on 25th September 2017, China filed an addendum to the WTO in which it proposed a transition period of two years for implementing the certification requirement, extending the deadline to enforce certificates to 30th September 2019. Pursuant to the draft Measures, the food importer shall attach a certificate, issued by the competent authority of the exporting country/region, to every batch of food in order to show that each batch is being overseen by the competent authorities of the exporting country/region and is eligible for human consumption. Failure to submit such a certificate may result in the rejection of the imported food at the port of entry. Food safety risk has been one of the key factors China considers when it develops its food management system and designs food-related policies. For example, certain food categories with comparatively high safety risk, such as meat and dairy products, are already subjected to certification requirements if they are exported to China. Unlike these already adopted food safety control measures, which classify foods based on their assessed safety risk, the proposed certification program applies to every food product that is imported in China without distinction. This proposed mechanism has been criticised as lacking scientific justification and may unnecessarily burden the industry. Furthermore, in practice, it is uncommon for a national or local agency to vouch for the safety of specific batches of food. The impracticality of this has led several national governments to urge China to reconsider this program and exclude some low-risk products (such as spirits, biscuits and confections) from having to be certified under the Measures. Although due to the ongoing government restructuring, the enforcement of this certification program might be further delayed, as the 2019 deadline is fast approaching, some countries are negotiating with China to identify an acceptable certificate template in order to export to their country. 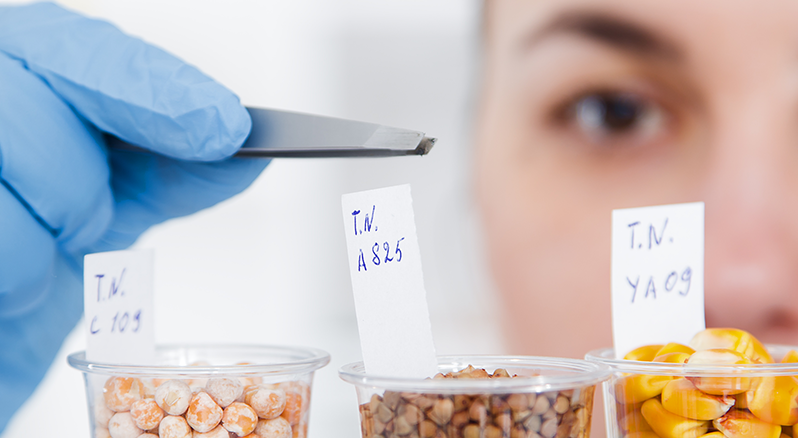 In fact, templates have already been adopted in the certification of high-risk food products based on agreements between the exporting country and China and may be referenced in the future when developing a general food certificate. For example, dairy products that are exported to China from France must be accompanied with a sanitary certificate issued by the French Ministry for Agriculture and Food (MAF). The content and format of this certificate has been reviewed and approved by the MAF and the former AQSIQ. Given the above, it is important for individual food producers, trade associations, etc., to keep working with their national or local governments to understand, monitor and prepare for the 30th September 2019 implementation date. Perhaps future negotiations will result in a more practical application of the certification programme, so China can continue to ensure the safety of imported foods, while putting in place requirements that are more feasible for the food industry to meet. Depending on how this new certification program is finally implemented, in practice, it will likely create new challenges for the food industry and foreign governments. One cannot ignore the possibility that, by failing to comply with the certification program, a company could find its way onto the blacklist. Thus, while the focus in the media over the past few months has been on tariffs, companies should remain mindful of non-tariff requirements that often have a greater impact on a company’s brand and ability to efficiently export products to China. Keller and Heckman LLP is a global law firm founded in 1962. The Shanghai office opened in 2004, focusing on serving its global clients in the Asia Pacific Region regarding compliance matters from food and drugs, food packaging, cosmetics, consumer products, chemicals, medical devices to E-cigarettes and tobacco-related products. The firm’s global food and drug practice has gained recognition by Chambers and Partners Asia-Pacific Guide in the category of Life Sciences (International Firms) – China. David Ettinger, the chief representative at the firm’s Shanghai office, is listed in The Best Lawyers in America 2016, 2017, 2018 and 2019 (FDA Law). Under Article 12 of the draft Measures, food imported as samples, gifts, food for display, food in small amount related to trade with Taiwan or border trade, food for foreign consulates use or duty-free operation are exempted and subject to special rules. For more information about the Chinese Government’s restructuring plan, please visit: https://www.khlaw.com/Chinas-National-Peoples-Congress-Passes-Reshuffle-Plan–to-Establish-New-Food-and–Food-Related-Agencies. Share the post "Exporting Food to China"